Early bird special - Tickets will be $100 at the door on the day of the event. From Santa Barbara, Larry Schaffer is one of the great regional Rhone Rangers and a warrior for the grape. Larry cut his teeth on Rhone wines as winemaker for Fess Parker and now spends his time focused on his own brand TECERO. Jaffurs Wine Cellars is dedicated to producing great Rhone varietal wines with a new-world independence. Owner/winemaker Craig Jaffurs, produced his first professional wines during the 1994 harvest. All their wines are carefully made in small lots. Only about 5000 cases are produced each year – production is limited. Husband and Wife, completely self taught as winemakers, living our dream. We have a knack for finding exceptional vineyards and showcasing their unique character. Transparency, nuance and soulfulness are captured in every bottle, but no matter how hard we try it is impossible to remove our personalities from the wines. Each bottle is our interpretation of a specific site. A showcase of all the glorious imperfections a single vineyard has to offer. Located on top of Peachy Canyon, amidst our estate vineyard, our winery was designed by BAR Architects using Scott Hawley’s wine making ideas and our preferred clean and contemporary style. The design incorporates gravity flow processing, as well as the ability to ferment vineyard blocks individually in state-of-the-art concrete fermenters. Scott Hawley has been a part of the Law Estate Wines project since the original plantings in 2008. Prior to teaming up with the Laws, Scott had been creating highly regarded wines from some of Paso Robles' most significant vineyards for over 16 years, including his own label, Torrin, which he started with his family in 2006. 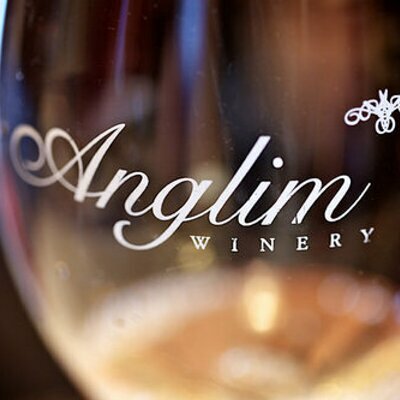 Anglim Winery is a small, family-owned label located in downtown Paso Robles producing vineyard-designate Rhône varietals and blends plus limited-release family favorites including Pinot Noir and Cabernet Sauvignon. We realize that stellar wines begin in the vineyard, and are passionate about sourcing the finest fruit for Anglim wines. Our limited case production of 3,500 cases a year allows us to handcraft our wines in small lots with a combination of tradition and innovation. Grenache Wars - Come taste and VOTE for who wins 1st prize!!! Paso Robles or Santa Barbara?? GRENACHE - (aka Garnacha) one of the most widely planted grapes in the world is now one of the most exciting! Grenache is planted all over the world and presented in a large number of styles (AKA Rhone wines like Chateauneuf de Papes, Spanish Garnacha, and its the "G" in GSM from Australia) Grenache is finding more than a few fans here in Southern California - and is extensively planted in Santa Barbara (especially Ballard Canyon) and up in Paso Robles where the style is more concentrated and inky with with typical Grenache features of spice, berry fruits, white pepper, fleshy to soft palate with gripping tannins on the finish. Grenache is often discussed as being Pinot Noir like but with a powerful tannic grip.... and a great alternative for the summer bbqs.... come and experience Grenache at its best with a number of the best producers showing up for this round of battles.... no wine glass is safe when Grenache gets involved, and don't forget your toothpaste... your teeth may never be white again. A portion of wine sales from the event will be donated to the T.J. Martell Charity Foundation. The T.J. Martell Foundation is the music industry's largest foundation that funds innovative medical research focused on finding cures for leukemia, cancer and AIDS. The Foundation sources and supports early-stage research projects aimed at developing more effective clinical treatments for patients which otherwise might not be funded. Learn more at tjmartell.org.